The Littlest Passport taps into the advice of well-travelled parents to provide you with the intel, accommodation reviews, and itineraries you need to plan a wonderful vacation for you and your baby or toddler. Parents of babies and toddlers are turning to travel advisors to take the work and stress of travel planning off their tired shoulders. The Littlest Passport test drives the UPPABaby Minu to determine its suitability as a travel stroller. The Littlest Passport talks to parents of babies and toddlers on how they used Kid & Coe to find a family-friendly vacation rental, and how it stacks up to AirBNB and VRBO. A couple with twin babies celebrate surviving Year One with a stay at Travel + Leisure's 2017 #1 Hotel in Central America, Hacienda AltaGracia. A man-made reef to control beach waves and fantastic dining are two of the features that make Andax Mayakoba in Riviera Maya, Mexico a recommended stay for a couple with a one year old. 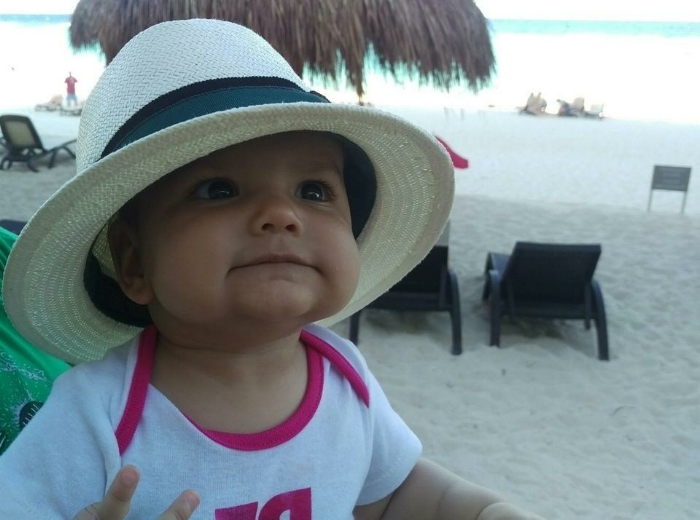 Parents of a toddler return to the Grand Residences Riviera Cancun for the luxury residential style rooms and the thoughtful services and amenities it provides its young guests. The Littlest Passport provides travel guides and reviews tailored to families with babies and toddlers. The site addresses the realities of strollers and nap times, without compromising parents' style or bucket lists - curating vacations that are exciting and relaxing for little ones and their parents.